The murder of a priest and the wounding of one of his parishioners in Normandy was an act of terrorism carried out by two followers of Islamic State, the French president, François Hollande, has said. 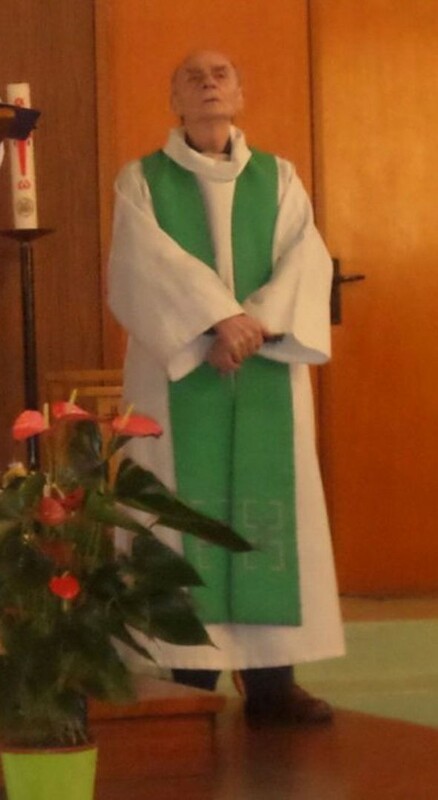 The more details that emerge surrounding the gruesome lethal attack on a priest in northern France Tuesday, the more it appears that the attack could have been foreseen and perhaps prevented. 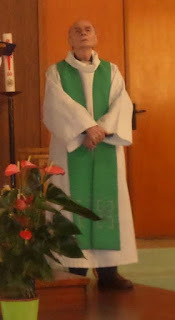 On Tuesday morning, two jihadists associated with the Islamic State entered the parish church of Saint-Etienne-du-Rouvray in Normandy while 84-year-old Father Jacques Hamel was celebrating Mass in the company of several members of the parish. The assailants seized Father Hamel and slit his throat before taking the other members of the congregation as hostages. A witness to the attack has described how the two men forced the 86-year-old priest, Father Jacques Hamel, to his knees, slit his throat and filmed themselves appearing to preach in Arabic at the altar. The nun, named as Sister Danielle, was among five hostages who were taken when the men armed with knives reportedly entered the church of Saint-Étienne-du-Rouvray, near Rouen, at 9.43am local time on Tuesday. It turns out that the parish Church of Saint-Etienne-du-Rouvray, the site of the assault, was on an Islamic State hit list recovered from suspected jihadist Sid Ahmed Ghlam, in April 2015. The 24-year-old Ghlam was arrested by French police, who believe he was a terrorist planning imminent attacks in France under the direction of Islamic State leaders. After the arrest, police discovered a list of Catholic sites to be targeted by Islamic State terrorists, which included the location of Tuesday’s attack. The beautiful sixteenth-century church of Saint-Etienne-du-Rouvray is a French heritage monument, to which a tower was added in the 17th century. More importantly, the church also “happened” to be right next door to the Yahiya mosque of Saint-Etienne-du-Rouvray, whose best-known worshiper was the notorious French jihadist executioner Maxime Hauchard. Hauchard, who appeared in a video of the beheading of American aid worker Peter Kassig and 18 Syrian military captives in 2014, converted to Islam at the age of 17 and frequented the mosque of Saint-Etienne-du-Rouvray, a stone’s throw from the parish church. Several years ago, Islamic State recruiters contacted and enlisted Hauchard, who became involved in the 2014 takeover of Mosul. “My personal goal is martyrdom, obviously,” Hauchard said in a television interview. Once in Syria, Hauchard changed his name to Abu Abdallah el Faransi and announced that he wanted to help militants found an Islamic caliphate. The Islamic State has claimed responsibility for the attack, saying it was their soldiers who carried out the barbaric assault.